On the way back down the hill from the quarry and watching the Falcons I walked along the Pardalote Path to look for any new nesting activity. 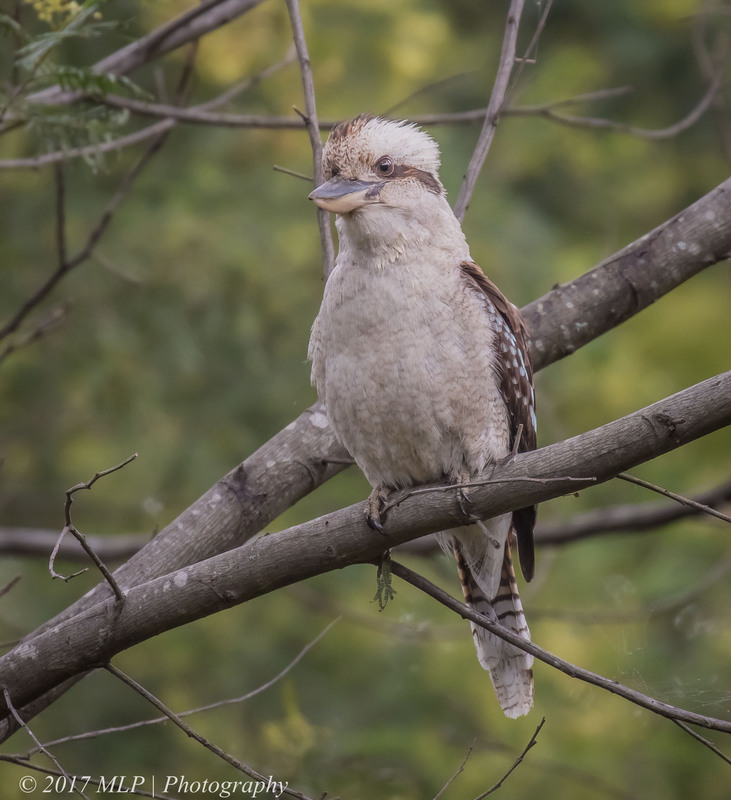 On an overhanging branch above the path I found a Kookaburra staring intently into the nearby bushes. He ignored me as I walked up and under the branch and as I turned around to see what he was looking at he was dive bombed by a pair of Red Wattlebirds. Maybe the Kookaburra was a bit too close to their nest and they were trying to get him to move along. As they attacked, the Kookaburra would fluff up its feathers to appear larger and more fearsome. It didn’t really work with the Wattlebirds but did make for an interesting photo. 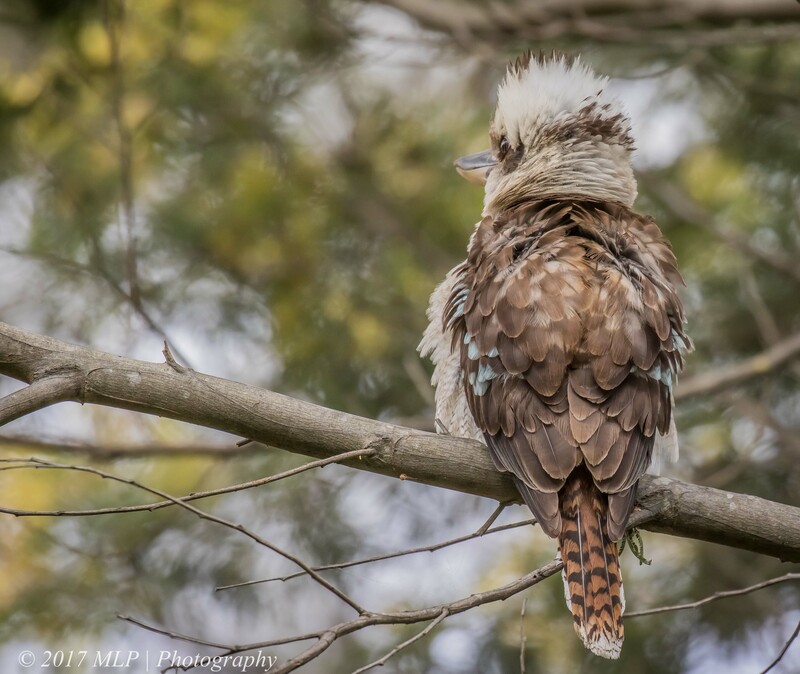 This entry was posted in Birds, Victoria and tagged Australia, Australian Birds, Bird Photography, Kookaburra, Moorooduc Quarry, Moorooduc Quarry Flora and Fauna Reserve, Mornington Peninsula, Nature Photography, Photography, Victoria. Bookmark the permalink. Those are wonderful photos! Thank you for sharing. Yes the Kookas often get a beating from smaller birds as they sit near their nests, but it does not usually drive them away, they tend to put up with it. Miners and Willys often are seen attacking these guys also.